The Caterpillar / Gardner Denver version of pinion 1415295 to suit an HPR2 drifter in an SCR 5000 / GD 5000 drill is designed by the OEM as a single use item. Once the splines on this version are worn, the pinion must be discarded. Geographe re-engineered and enhanced this pinion so that rather than the utilising the offset Gardner Denver design, the Geographe design featured a symmetrical centre piece with an adjustable spacer, changeable on each end of the spline. 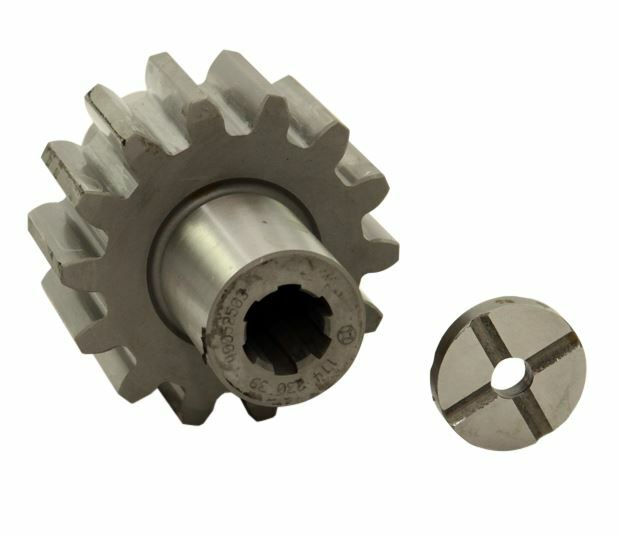 This allows the pinion to be reversed once worn on one side, doubling the part’s lifespan in addition to significant savings achieved on the original purchase price. The pinion forms part of Geographe’s Enhanced Performance range of parts. Our Parts pass the test. Geographe Australia has developed processed and capabilities to stay ahead of industry needs.